Actual price is determined by the dealer. Price is shown without installation cost, additional parts may be required. 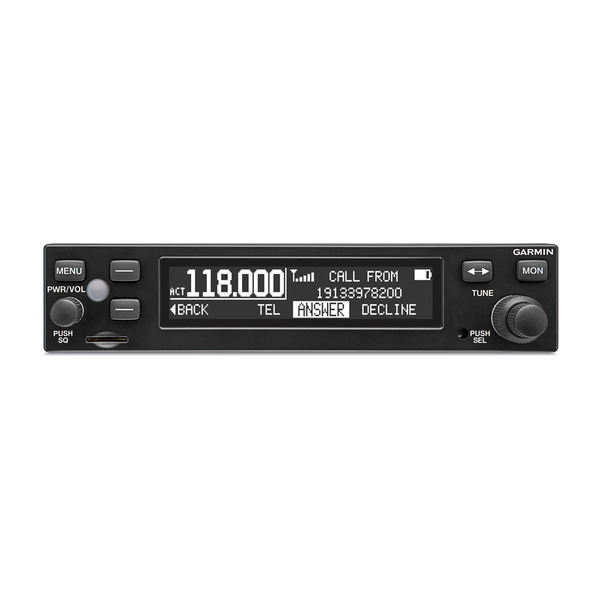 For more complete pricing information, including installation cost, please contact an authorized Garmin aviation dealer. ¹The specified current draw is with the display backlight set to 100 percent. Total product footprint is 1.35” tall by 6.25” wide. Has only a 9.4” behind-the-panel depth including connectors (8” without connectors). 2 front panel-mounted, user-defined softkeys to assign to frequently used functions such as music on/off and pilot isolate. Can also be assigned to PTT to be used in case the installed PTT button or wiring fails. 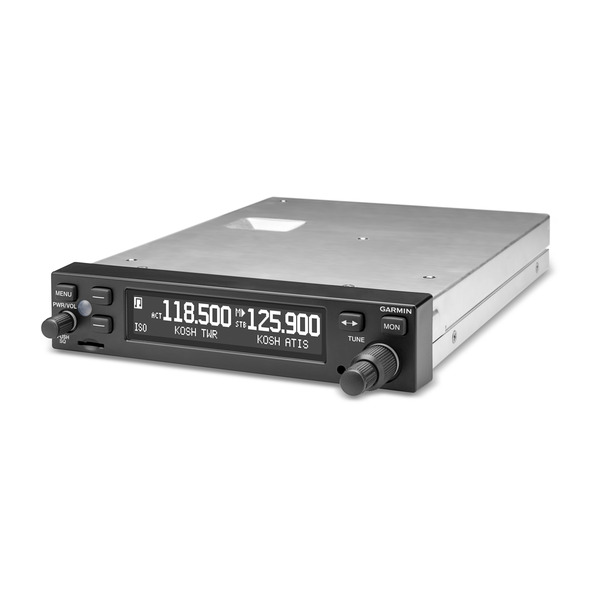 Automatic transfer of airport frequency groups (ATIS, Ground, Tower, UNICOM, Departure, etc.) for each airport in the flight plan plus nearby airports as you fly. 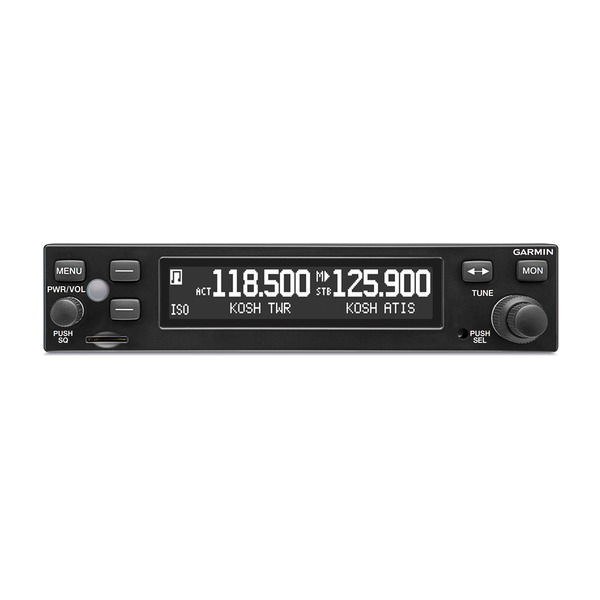 Each transferred frequency includes the location and type identifier for display on the radio after tuning. No GTR 200 database is required for this feature.